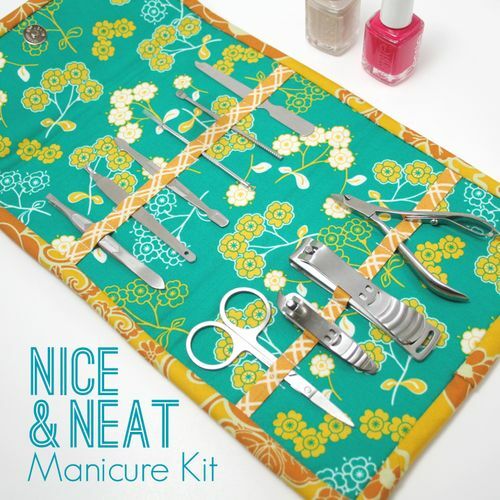 Manicure kits are SO handy. I made one several months ago from Noodlehead pattern and haven’t lost my supplies since then. Well, here’s another one that you can make which can fit any where.